“This season’s color palette emphasizes this need for balance, while at the same time allowing for individuality, self-expression, and excitement," says Leatrice Eiseman of the Pantone Color Institute. This season addresses consumers’ desires for self-expression, balance, and the need to re-energize. The color direction builds upon these needs with a palette that mixes dynamic brights with novel neutrals to create a harmonious balance, according to the Pantone Color Institute. This allows for unique combinations that offer practicality and versatility, but at the same time, demand attention and earn an appreciative glance. 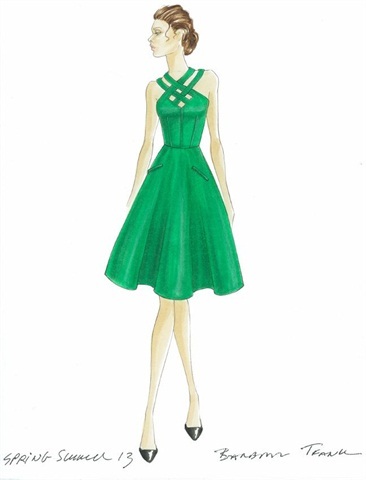 The Pantone Fashion Color Report Spring 2013 predicts that emerald (shown, and named by Pantone as the “color of 2013”), African violet, tender shoots, poppy red, and six other hues will make up the spring palette. View the full report at www.pantone.com/spring2013. 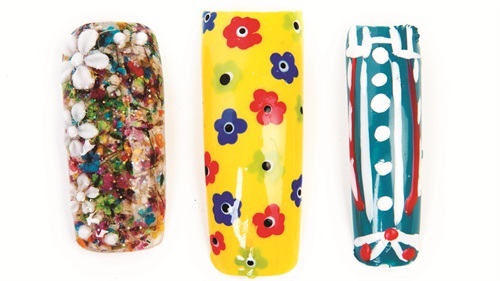 View a slideshow of all 10 spring shades at www.nailsmag.com/spring2013colortrends. Illustration by Barbara Tfank. Originally appeared in the Pantone Fashion Color Report Spring 2013.